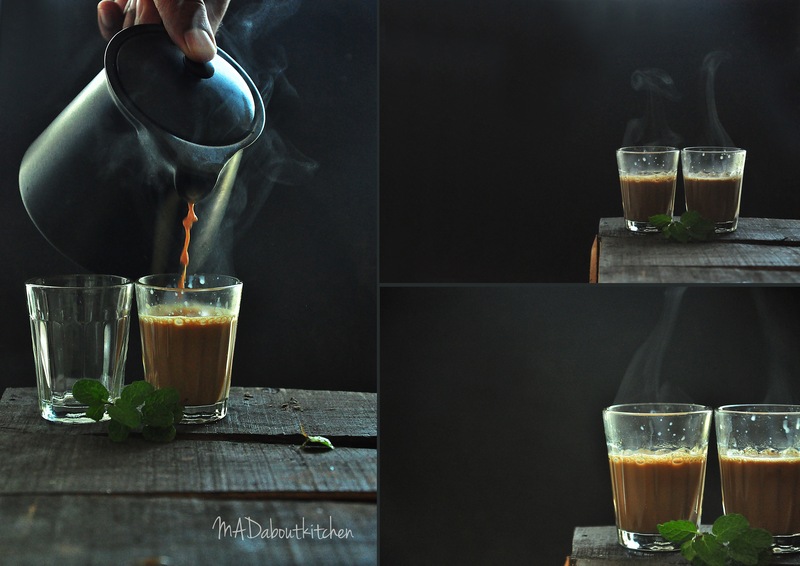 “Aap chai lenge?? 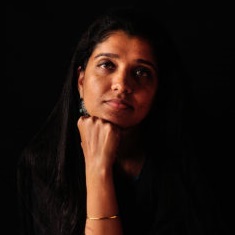 ?” is the first thing most of the Indians asks when they have guests over. 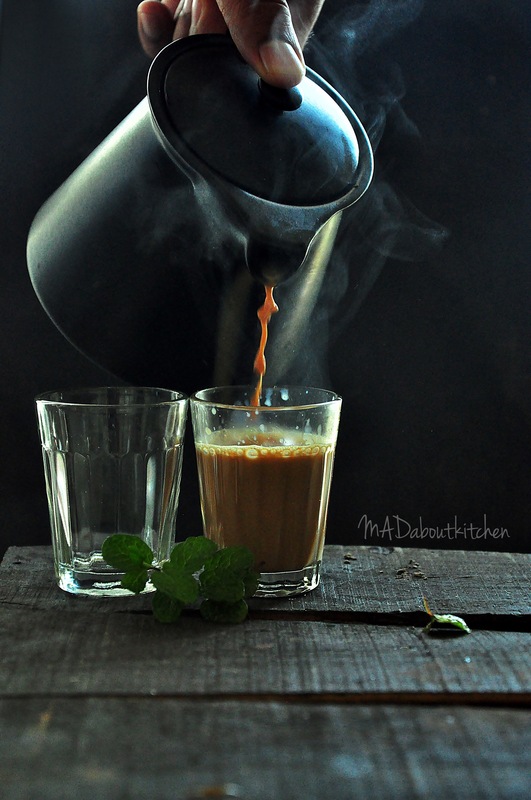 Or “Chal chai peete hai” is what friends tell each other when they want to just go out. Or that’s what most of us have first thing in the morning. Or like our new Prime Minister Says lets do “Chai Pe Charcha”. 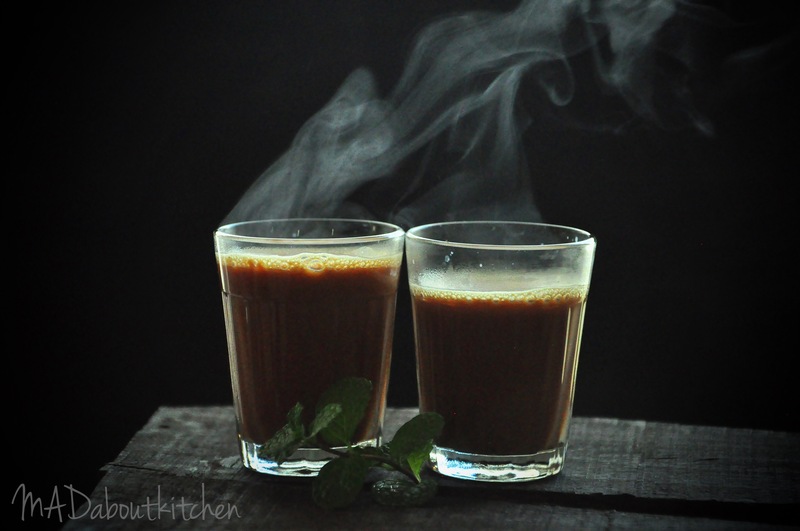 When i was in college chai was the major time pass. 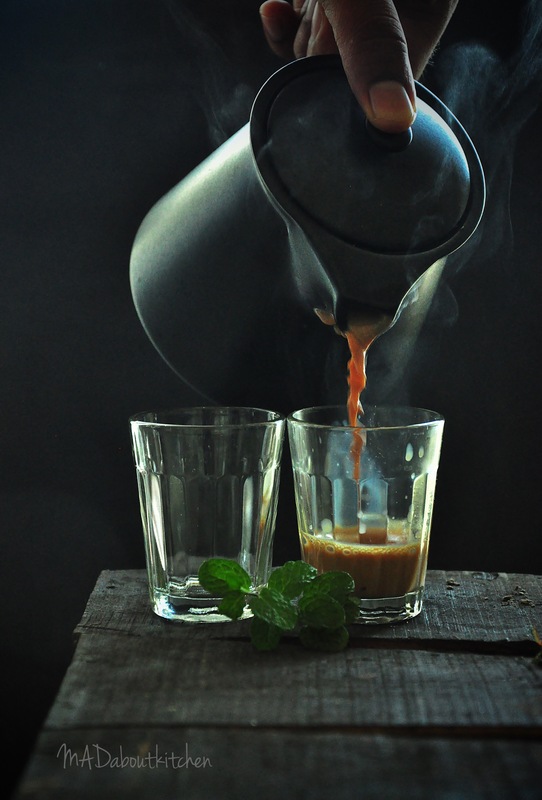 we would go out in one of my friends car to the highway and have chai in chai thelas ( the small tea shops) , we would sit and have a round table conference in the canteen discussing serious topics 😉 while sipping the hot masala chai. 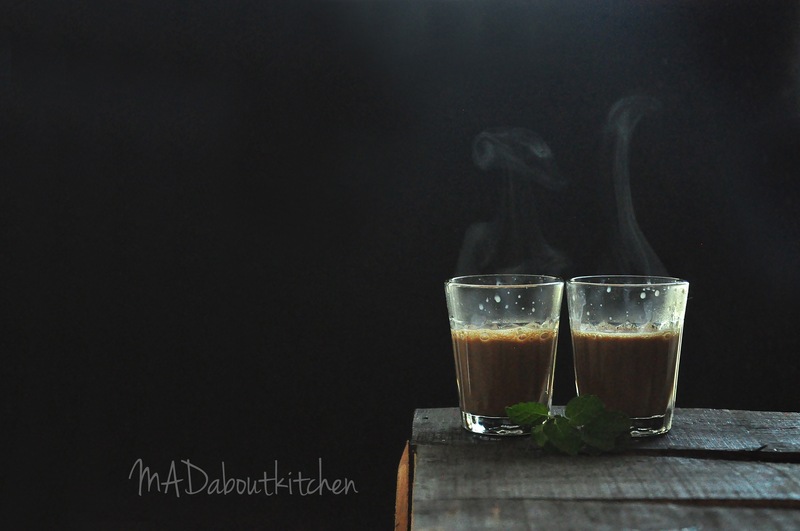 There are different kinds of masalas that you could add to the chai depending on your mood and the weather and the time of the day. 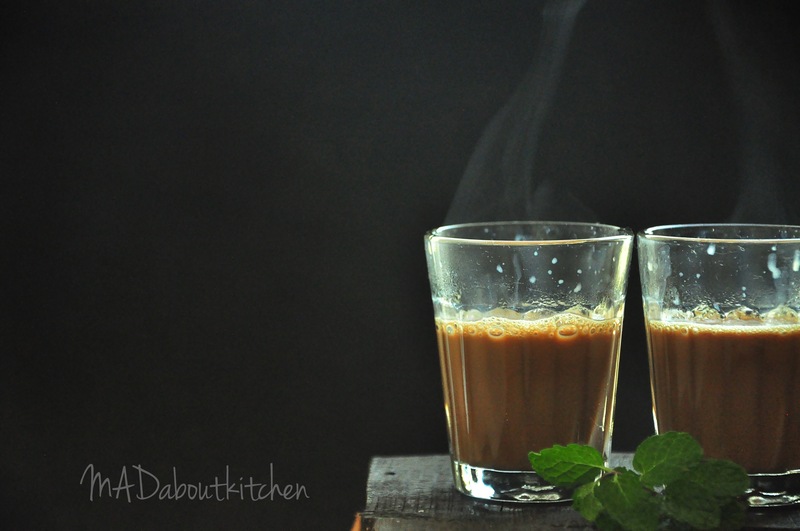 There is Adrak waali chai (Ginger Tea), Elaichi waali Chai (Cardamom Tea), Adrak and Elaichi Chai (Ginger and Cardamom Tea), ( Will give the recipe below), Tulsi Chai ( Indian Basil Tea ), Pudina waala Chai (Mint Tea) Laung Chai (Clove Tea), Dalchini Chai (Cinnamon Tea),Lemon grass Chai ( Trust me its amazing! 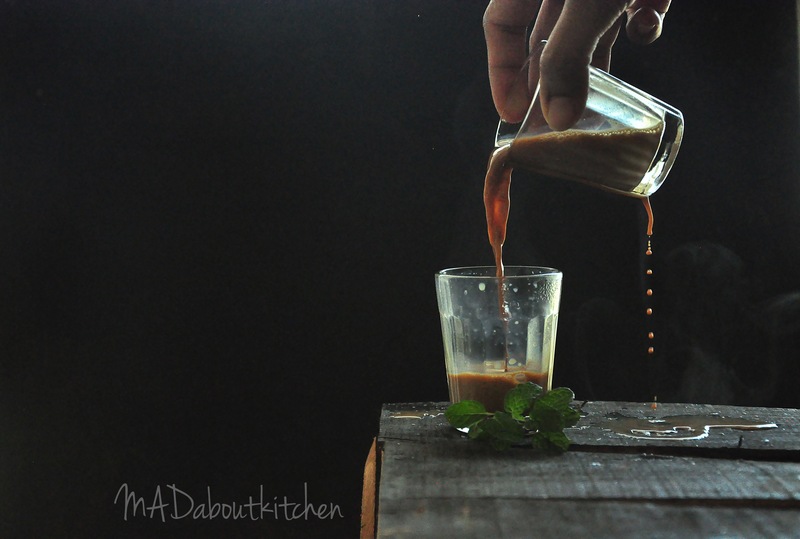 !’) and there is Chai masala made using a powder that is a mixture of most the above dry spices. Take milk and water in a sauce pan and place it on a high flame. Add tea powder and sugar. Let it boil for a minute. 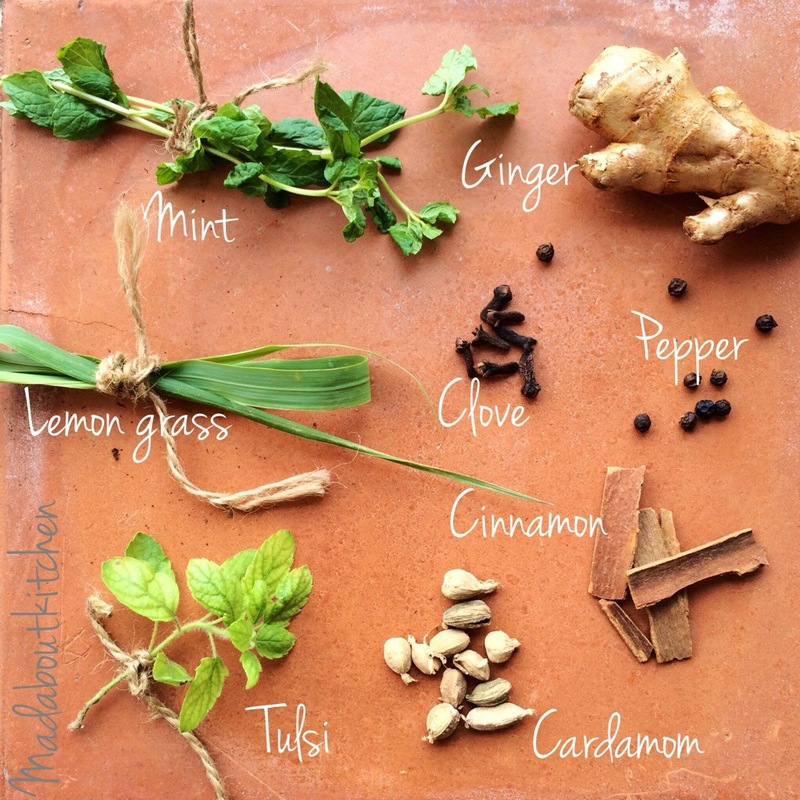 When this is boiling, add any masala of your choice and boil. Reduce the flame to low and let it boil for a minute if you like your tea less concentrated and let it boil for few more minutes if you like your tea Strong. Strain it and pour it into your mugs. 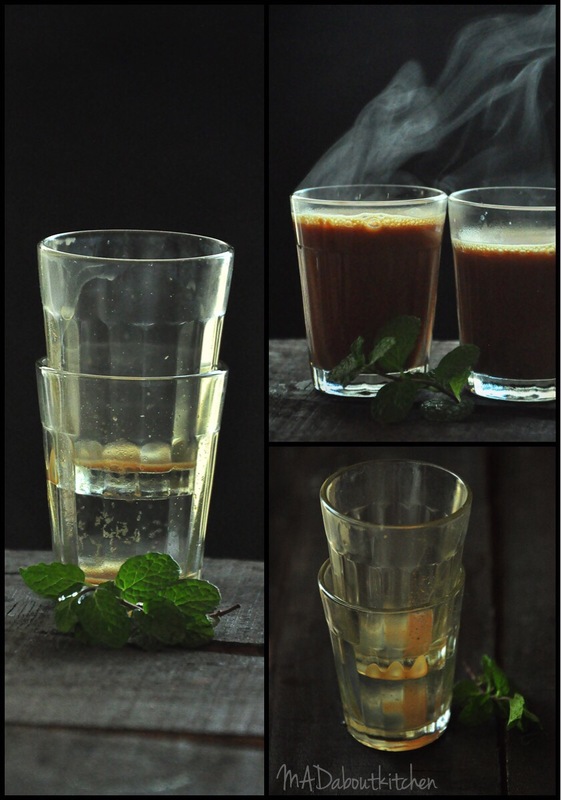 Boil water, your choice of masala, tea leaves for couple of minutes. 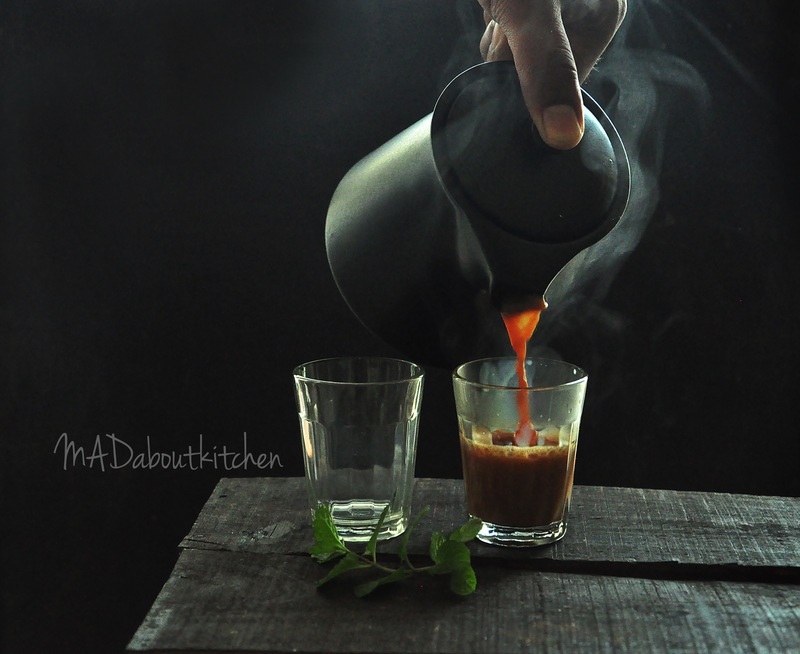 Add milk and sugar and boil further for a minute or more depending on how kadak or strong you want your chai. Strain it into the mugs and enjoy. 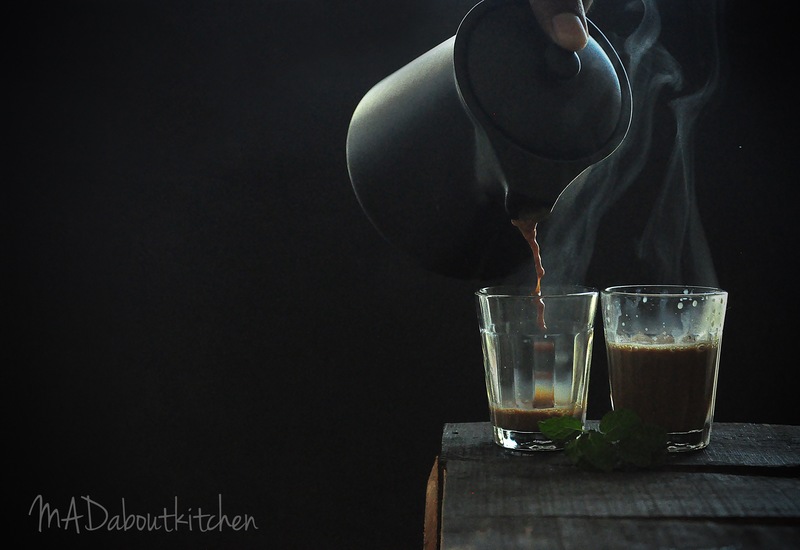 You will have to make few cups of tea if you are a beginner to find out how you like your tea.